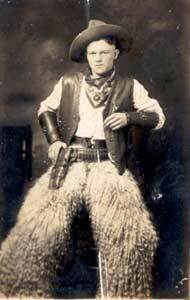 Cowboy builders are very much in the minority, but they are out there, so how can you protect yourself. Designing your extension means you need to take into account not just the practical limits of the site, but also what the planners are likely to let you get away with. Other factors include choosing a size and style that won't break your budget, and whther you're building to add value or to improve your lifestyle. The Haynes Home Extension manual considers all design issues in some detail. If you have the time and inclination, you may be able to save up to 10% of the total cost by designing It Yourself - perhaps with a free CAD programme. But you're likely to need at least some professional design input, especially for the Building Regs application. Search for local architects & surveyors. See below for design advice on kitchens and conservatories. One of the many reasons for adding an extension to your home is for a larger kitchen. This could be to make more space as the family grows, or to make it into more of a focal point for the house and change it into a Kitchen-Diner. Whatever the reason, the kitchen will need to be designed to meet the requirements of the family and it is important the layout this works as it is not easy or cheap to change the layout once it is completed. Before you start imagining the finished product you will first need to measure the room, draw up an overall layout, preferably on squared paper, and position the existing services (plumbing, electricity, gas point) and also the windows and doors. Remember that services can be moved if necessary, but it can be costly to do. There are three main zones within a kitchen - food preparation, cooking, and cleaning up. These correlate to the main work sufaces (and fridge/freezer), the cooker and the sink. These zones should make a triangle called the Work Triangle. Even though the sides of this triangle do not need to be of equal length they should not normally be longer than 6.5m (6500mm) and there should be no obstacles along the length of the sides of the triangle. Remember overall keep the design simple and make sure it works for you. You will probably be spending a lot of time in this room so make it work. Once you have drawn up your scale plan of the kitchen on squared paper with all the relevant points marked (e.g. doors, windows, services etc) you should cut out shapes that represent the different sizes of cupboard available and also ones to represent the appliances (cooker, hob, fridge, freezer, sink etc). This makes it easier to move things around if you are not happy with a design. Once you are happy with your design you should be able to work out exactly how many floor and wall units you require and also calculate the length of worktop required. Remember with worktop that you should avoid any joins and therefore you will need more worktop than the total length of worktops on your design. Design and Fit - bring someone in to design, build and fit the kitchen while you put your feet up! Of course the main reason for choosing any of these options is budget, with the options generally becoming more expensive as you go down the list. This isn't always the case and if you have specific requirements it may be better value for money to go for the last option. Take a look at our featured companies to see what options they have available. They have a large range of kitchens styles from traditional to contemporary. You will be spending a lot of time in this room over the following years so make sure you are happy with the design before starting it. Remember whichever way you go when designing your new kitchen, it is there to be used and also to be enjoyed. The origins of conservatories were the 17th century orangeries, added to grand houses to grow plants which would not stand the rigors of the outdoor weather. They began to be used as stopping off points on walks, and gradually moved closer to the house as an additional room. 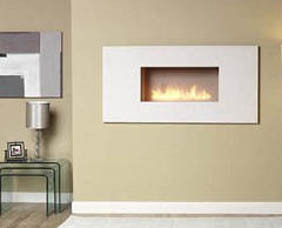 As materials have improved over the years, allowing for better insulation, they have become more and more popular. There is something special about a conservatory - the feeling of the outdoors inside. The first thing to consider is what will the room be used for? 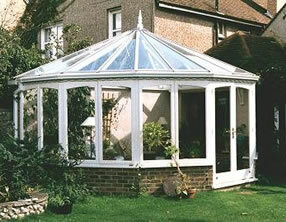 This will help you decide which room your conservatory should lead off from. A general tip is that a conservatory which is attached to a room which is used a lot will also be well used - and vice versa. Planning permission is not usually required unless you are extending a listed building, are in a conservation area or exceed the permitted development limit for your property, which varies from area to area, but is usually 50-70m�. This is the total permitted area so if the property had previously been extended, some of your allowance will have already been used. For more info visit 'Planning' or access your local council's website. Building regulations only apply if the conservatory exceeds 30m� floor space, has no connecting doors to the property, or is a kitchen/conservatory extension. Again, it is advisable to check details with your council - see also Building Regulations. One of your first considerations will be the size of the conservatory. To get some idea of how it will affect the existing house, start by marking out its footprint area with sticks and string. Mark out both the internal and external measurements. You will also want to see the effect on the garden from the external measurements, which are the measurements that suppliers normally quote. Look at the internal measurements and imagine filling the area with furniture, sofas, plants etc - check there's enogh room. It is always a good idea to get several quotes for major works such as this. When comparing quotes ensure the specification is the same in each, such as the glass type used and the number of window openings. It is also useful to meet the person who will be doing the work as it is often subcontracted. Do you have confidence in them? It's a good test to ask how they plan to dispose of all their rubbish. Also ask about the proposed depth of foundations, and then phone your Council Building Control Offier to see if they think it is sufficient. UPVC is the most popular. It combines low maintenance with low cost. It can come in white or wood grain. It is however not favoured by planners in conservation areas or on listed buildings. Hardwood is suitable for listed buildings. It requires periodic maintenance and can be finished with paint or wood stain. 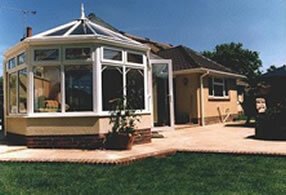 Aluminium conservatories are less common on house conservatories. It is more expensive than PVCu and not such a good insulator. It is however very strong and often used on commercial buildings. Try to match any brickwork and render details with your existing building so that it looks like an integral part, not an add on. A common question is "How long will the work take?" Of course, the answer varies but as a rough guide experienced fitters should take 3-4 days. For a DIY enthusiast it will probably take 2-3 weekends. You will need to put blinds in the conservatory to reduce glare and heat build up. 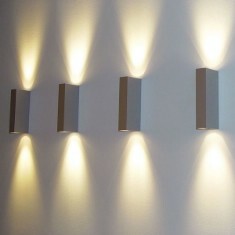 They will also reduce any damage caused by the UV light fading furniture and carpets. How do I build a Building Regulations compliant extension? Householders are looking for far more contemporary designs in their buildings which often include larger areas of glazing or even fully glazed structures, but obtaining Building Regulations approval for extensions with a high degree of glazing has proven difficult for some architects and builders. This is because Approved Document L1B of the Building Regulations limits the amount of glazing to a total of 25% of the floor area plus any window/door openings that would be covered over by the extension. However, there are other ways to demonstrate compliance with the glazing requirements. One method that can be used requires an energy calculation involving the averaging out of all of the 'area weighted 'U' values' of the extension and comparing them to the average U value of a notional extension of the same size where the minimum standards of L1B have been met including glazed areas. If the proposed 'area weighted average U value' is lower than that of the notional extension then the proposed extension is compliant. An even more flexible method of achieving compliance is to calculate the CO2 emissions for the building as a whole, including the extension, using SAP 2005. This figure is then compared to a notional extension calculation* and if the CO2 emission rate is lower in the proposed building compared to the notional extension*, the proposed extension complies. There is a major advantage to including the whole dwelling in this calculation. When improvements need to be made to reduce the CO2 emission rate it would be easy to assume that those additional improvements would be made to the extension itself, but if it is to be highly glazed other substantial improvements to the constructional fabric would be required to achieve the same standard as a notional building. In many cases, the best method of enhancing the building to meet the building regulations is to improve the existing dwelling as a whole. This could include additional loft insulation, a replacement boiler or even cavity wall insulation. By using the existing dwelling to enable the extension to meet the required standard, you are making substantial improvements - this is ideal in older dwellings which probably have lower standards of insulation and older heating systems. In the case of a more recently built property, there may be more difficulties in making the building comply and may have to consider the addition of renewable energy sources such as solar panels to change the compliance calculations. Example project, Mid terraced property, Surrey. Existing dwellings built approximately 1930's, gas fired back boiler in living room approximately 20 years old. The proposed extension has a floor area of 12.78m2, which has 5.64m2 in windows and 2.62m2 in rooflights. The extension is covering over 2.52m2 of existing windows. Under the guidance of Approved Document L1B the glazing would be limited to a maximum of 5.715m2, so therefore the extension is over glazed by 2.5m2. If the extension met the notional requirements of approved document L1B, the dwelling as a whole would have a CO2 emission rate of 4.8 tonnes per year. Therefore the proposed extension and the original dwelling must have a lower CO2 emission rate than the notional building. If the roof of the existing part of the dwelling has a 100mm layer of insulation added the CO2 emission rate will reduce to 4.72 tonnes per year, which is below the notional building figures and therefore compliant with Part L1B. In this particular case as an alternative to additional insulation the client, as part of overall building improvements installed a new gas fired condensing combi boiler with new radiators, timers and controls. This has further reduced the measured CO2 emission rate which is now 3.12 tonnes per year. This is well below the notional figure of 4.8 tonnes per year. This extended building, although highly glazed, will now emit 35% less CO2 than a building that would have met the apparent requirements of the Building Regulations. It is critical that the whole energy calculation is completed to assess the level of improvement, as the emission rates can vary significantly from dwelling to dwelling due to age and orientation and overall efficiency of the original dwelling. This calculation demonstrates that by applying Approved document L1b correctly, accepting SAP calculations from accredited energy assessors using Elmhurst Energy software as a method of demonstrating compliance, a far cleaner dwelling from a CO2 point of view can be achieved with ease. It should also be taken into account that a more energy efficient dwelling is usually cheaper to run and provides a great deal of design flexibility so that the home owner can have the "Grand Design" they desire. * Notional Extension: An extension to a dwelling meeting the minimum standards of approved document Part L1B.